A few weeks ago Fring announced the release of the world’s first mobile internet video calls on Symbian S60 and iPhone/iPod touch. 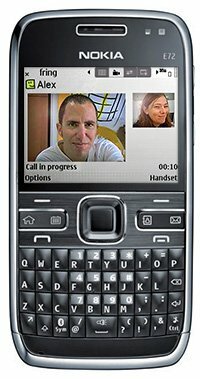 Yestarday the company said on its blog that also Nokia E72 & E75 (and all other Symbian 9.3) users can now video call with their friends on fring and Skype for free. Fring recommends that all Nokia S60 users download the latest version, as it contains some quality improvements, bug fixes and better connectivity in some specific scenarios. The new version for all Symbian S60 devices is available here. According to Fring, video calls now account for about 60% of all VoIP traffic in Western Europe.